We’ve all seen images of grizzled fly fisherman standing in a misty morning river or gap-toothed kids on docks holding up their catch of the day. But fishing is not just a way to while away one’s retirement or pass a childhood afternoon — it’s the third most popular outdoor recreation activity in the U.S., right behind biking and running. It’s also big business in Western Pennsylvania. Talk to a local fisherman and it’s easy to see why. 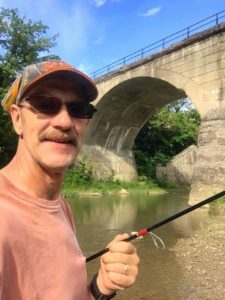 Chris Toth has been fishing the tributaries of the Monongahela River every day for close to 30 years and calls these waters the “hidden jewel of Western Pennsylvania.” The avid angler stops his truck wherever he sees a creek from the road, wading in for a spell on his way to and from work as a coal miner. He says fishing doesn’t have to be hard and it doesn’t have to be expensive — he builds his own rods and keeps artificial lures in his truck. That way, he can fish whenever the mood strikes. Toth credits the improved water quality of the Mon. The settling ponds and water treatment used by area mines — along with the development of modern sewage treatment plants in riverside communities — has resulted in clean water that supports a wide variety of fish. As the water has improved, more people are fishing, swimming and boating. Rick Spear of the Department of Environmental Protection (DEP) has also witnessed the change. A marine biologist with the DEP for 14 years, Spear is a Fish and Mussel expert. 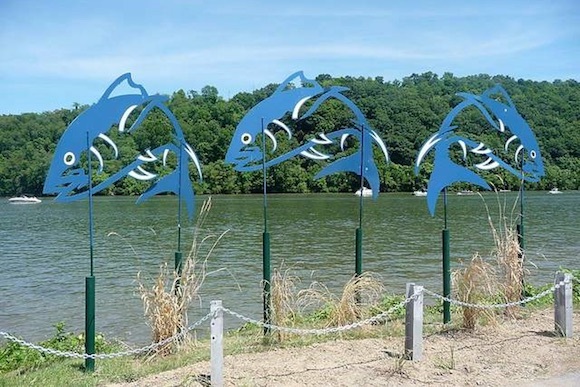 He explains that the Clean Water Act of 1972 got the ball rolling, “making communities and individuals responsible for what got discharged into waterways.” In the 1970s, the Mon River could only support three species of fish: bluegill, catfish, and carp. 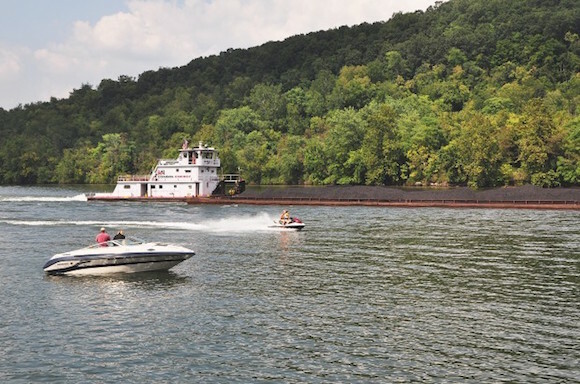 Existing marinas and newly constructed launches make it easy to put a boat into the Mon or Ten Mile Creek, but the area still lacks an outfitter to rent kayaks and canoes or sell fishing gear. Spear believes there is a market for that sort of business. One group helping to grow the sector is the Marianna Outdoorsmen’s Association (MOA) in Washington County. 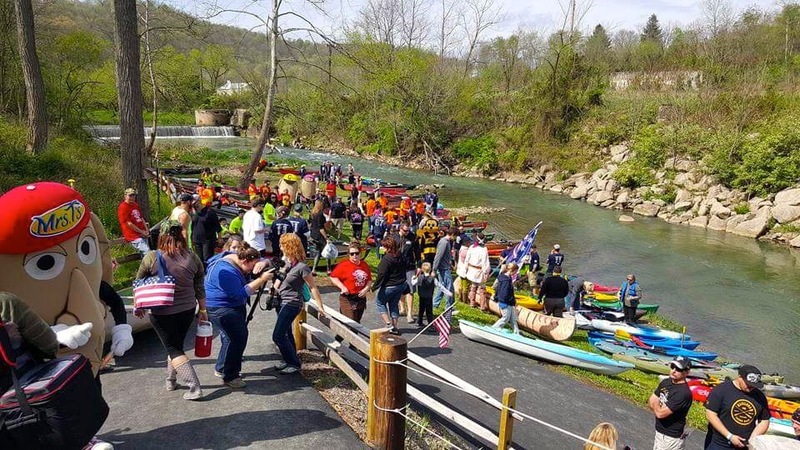 The Association sponsors events such as the “Fall Costume Canoe Race” (happening October 8 in Clarksville on Ten Mile Creek). Their annual Spring Canoe Race launched in 2007 with 17 boats. In 2016, 209 boats competed and over 3000 people attended. For 2017, the event has been expanded to two days and dubbed “Outdoor Fest.” It will feature musical entertainment and vendors in addition to the Saturday race. 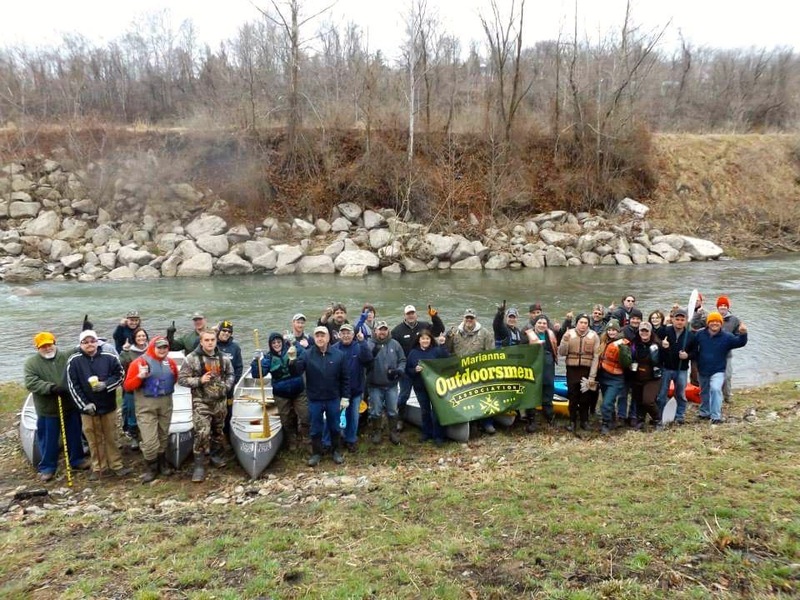 Proceeds and membership fees will support the Association’s educational work, its trout stocking programs and fishing events for veterans, such as one on October 15 with Project Healing Waters. Started in 2006 by Jason White and Josh Stepp, MOA promotes fishing as both outdoor recreation and an educational opportunity. An avid fisherman since childhood, White says their work in Washington and Greene counties maximizes the region’s major asset — the Mon River — and improves the life of area residents. MOA partners with county and state agencies, local Chambers of Commerce, and organizations like the Mon River Town Coalition to raise awareness of the area’s assets and get courses into local school curricula. Working with MOA, Beth Center School District in Fredericktown has successfully instituted the Fish Commission’s recreational courses into the school day. It’s working: The sport’s popularity is increasing along with the variety of fish that are biting. 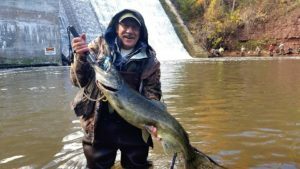 “Fishing is like returning to the days of being a hunter/gatherer,” explains Pittsburgh attorney Bob Koehler, who stayed away from fishing the Mon when it yielded only carp and catfish. But when the Bass Master Classic came to Pittsburgh in 2005, he knew the river had come back to life. He got his fishing gear out of storage. According to Toth, now is the perfect season to drop a line. So if you’re driving through Western PA, watching the leaves turn, and you see a pickup pulled over on the shoulder by a close-running creek, you may have just found Chris Toth at one of his secret spots. Grab a pole and join him.